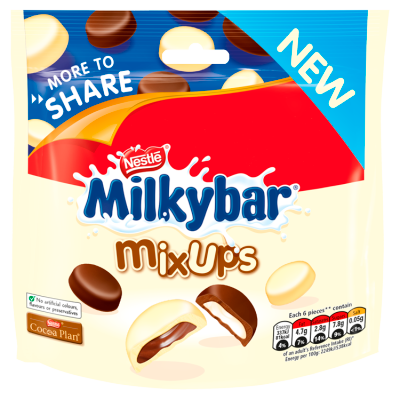 Milkybar® Mix Ups are here! 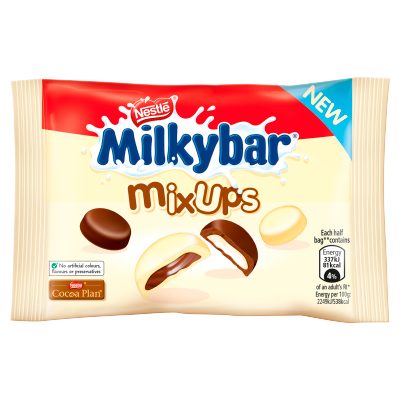 An exciting mix of Milkybar® white chocolate pieces with a delicious creamy-tasting cocoa filling and milk chocolate pieces with a delicious creamy-tasting milky filling. 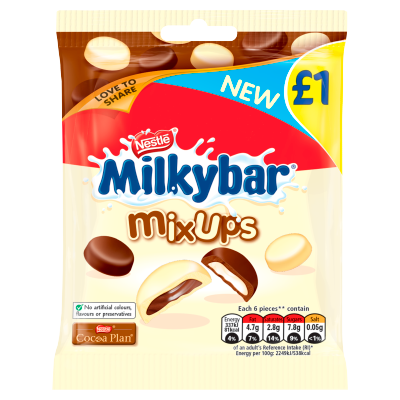 Our Milkybar® Mix Ups are available in bags of different size. 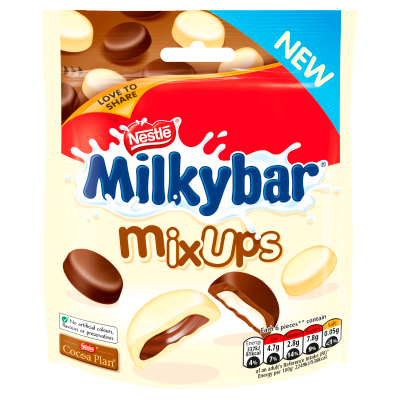 There are absolutely no artificial colours, flavours or preservatives in Milkybar® Mix Ups. And of course milk is our number one ingredient in Milkybar® white chocolate. Milkybar® was created in 1937, when Nestlé almost exclusively manufactured milk products. The recipe is different today, but at Milkybar® we still love milk - you only have to look at our simple white chocolate recipe to see how much! Enjoy the delicious taste of Milkybar® in bars, blocks and bags.